McCrometer and AMS Instrumentation & Calibration are proud to enter into an exclusive agreement for AMS to become McCrometer’s Australian distributor to supply their range of products to the oil and gas and industrial market place. McCrometer is a leading global flow instrumentation specialist. We specialise in the design, manufacture, installation and testing of flow metering solutions. Instrument, process, facility and consulting engineers worldwide have confidently chosen McCrometer’s flow meters for more than 55 years. 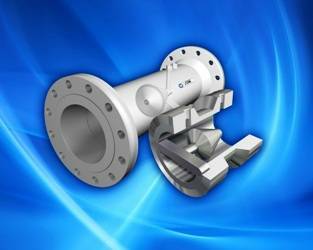 McCrometer’s flow technologies serve in a wide range of complex and harsh applications. McCrometer’s application engineers, researchers and designers apply their expertise in flow physics and real-world operating dynamics. The results are some of the most accurate, innovative and trusted flow meters on the market. McCrometer’s flow meters are used in many liquid, gas and steam fluid processes in challenging industries: chemical, electric power, facilities, food, HVAC, irrigation, oil / gas, municipal water and municipal waste water. McCrometer’s advanced flow solutions, the patented V-Cone® Flow Meter and highly accurate, self-conditioning Wafer-Cone®, perform reliably in the harshest environments. The V-Cone and Wafer Cone solve tough flow instrumentation challenges in sub-sea platforms, offshore platforms, on land and in wet or dirty gas environments.